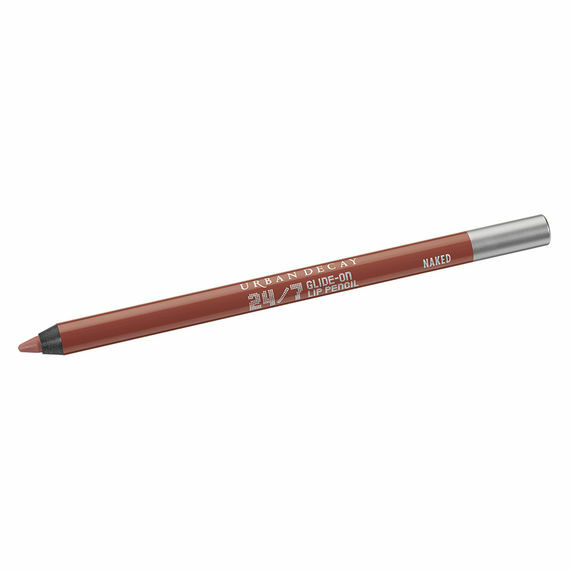 Urban Decay 24/7 Glide-On Lip Pencil Vegan Formula Color is Naked in the large Travel Size .03oz Get primed and ready for action. Our long-lasting, waterproof liner glides on smoothly to prime AND define—for long-lasting lip color and clean lines. Smooch. Pout. Smack. Nibble. Lick. 24/7 stays put through everything (yes, EVERYTHING) you do. When you use our liner to fill in your lips completely, it primes them for lipstick or gloss, grabbing on to color to help it last.